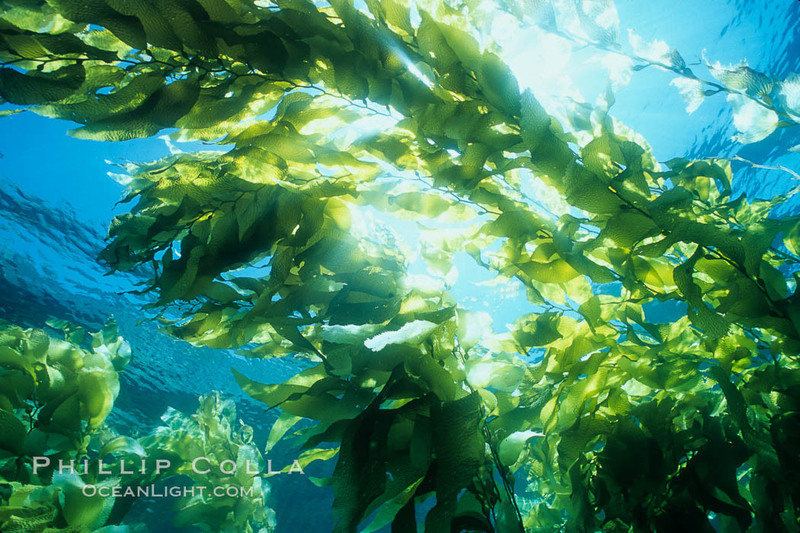 My first experience with seaweed was as a kid combing the shores of Newport Beach where I grew up. After storms my brother and I would find clumps of the brown stuff pushed up the beach. We would pick through them to pop the small bubbles attached to the leaves. If the seaweed was fresh and still had its rootball attached, we would break it apart to reveal a mix of tiny animals: brittle stars, baby octopus, urchins, crabs, little shells and worms. 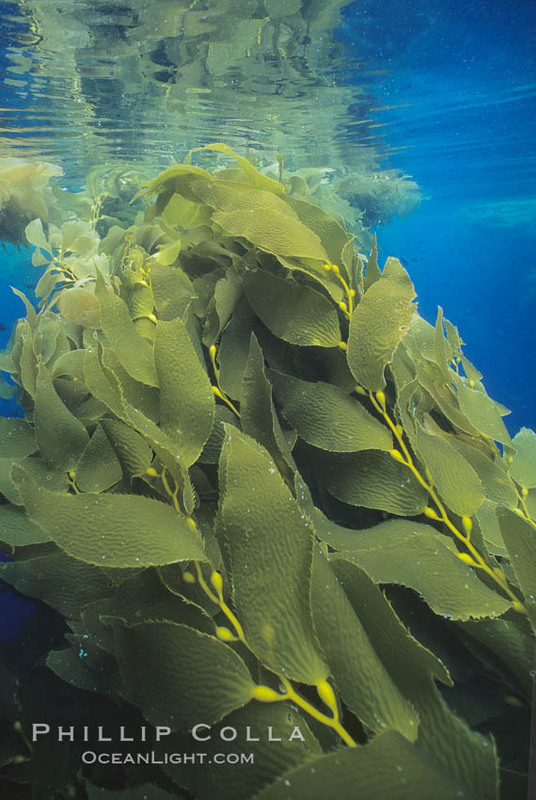 The glimpses of marine life that seaweed brought to our shore triggered a childhood curiosity in the ocean and its inhabitants. 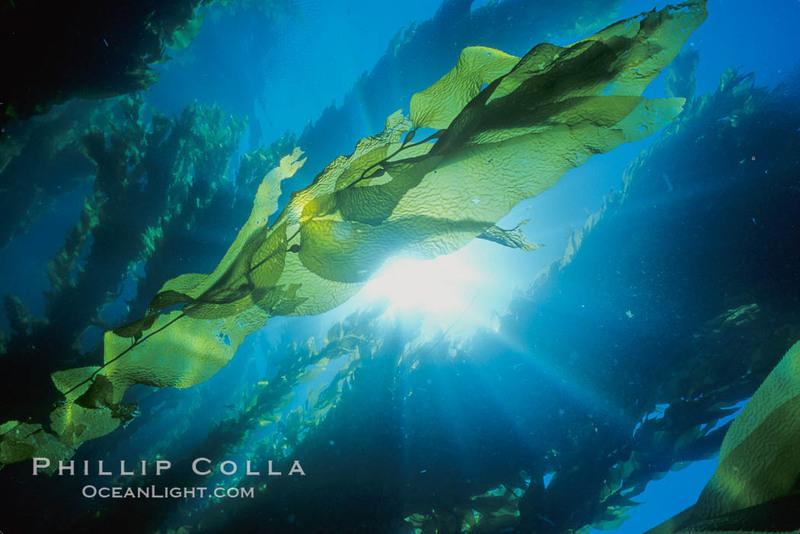 Yet it was not until I began diving in kelp that I gained a fuller appreciation of the ocean world. 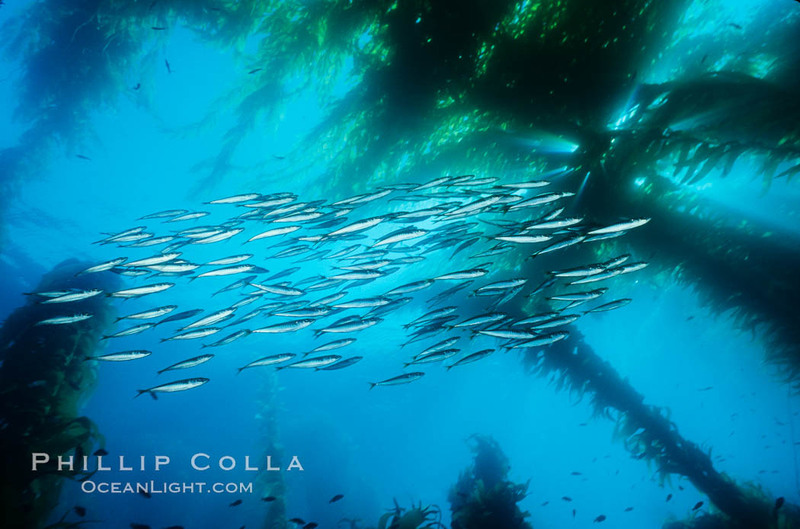 Kelp plants growing toward surface and spreading to form a canopy.